Seaweed visionary Diane Bernard is at home on the ocean. Coastal origins and a lineage rich with marine life that stretches for generations infuse Diane’s passion for seaweed with a deep resonance. 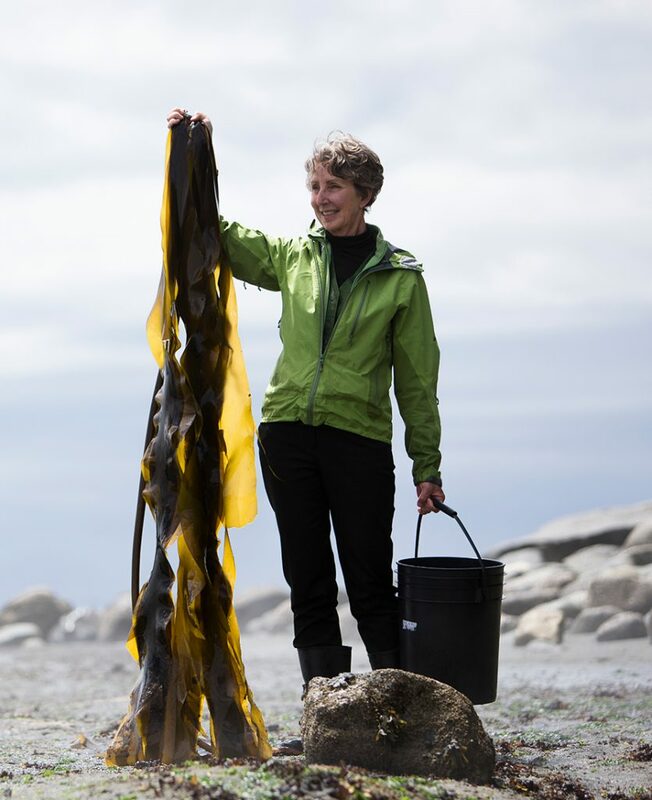 From the salt-swept Magdalen Islands to the temperate rainforest of the Pacific Northwest bordering on the Salish Sea where twisted arbutus limbs reach over rocky bluffs, Diane’s use of seaweeds is anchored in ancestry. Pioneering the use of fresh, raw seaweed in the skincare industry, Diane has devoted over two decades to the research and development of the world’s first skincare line formulated from certified organic seaweed, Seaflora. Diane’s revolutionary approach to using fresh seaweed in skincare is far-reaching: through years of testing, the Seaflora Skincare team has developed methods that keep raw nutrients in seaweed biologically active. This huge advance in skincare is followed closely by researchers worldwide. Integrity: A foundation of truth, honesty and ethical behavior guides both personnel and company conduct. Environmental Stewardship: Our business and products depend on a clean and healthy marine environment. We accept our responsibility to educate, conserve and protect the natural environment for the benefit of present and future generations. Teamwork: Our success is dependent on our team of skilled, talented, motivated and thoughtful individuals. To this end we are dedicated to continuous staff improvement through ongoing educational opportunities. We strive for a positive and supportive work culture that values pride in our work; encourages creativity, self-directed discipline and empowered teamwork. Creativity: We encourage creativity as it drives innovation and continuous improvement in one’s self and our company. Excellence: We are uncompromising in our commitment to produce premium quality, nontoxic health and wellness skincare products while providing outstanding customer service and support. Science: Factual, evidence based and quantifiable science provides the foundation of our formulations. Added Value: Beyond producing ocean authentic, nontoxic skincare products we seek to involve our customers and business partners in understanding and enjoying the benefits of seaweed by providing knowledge, information, resources and events to enhance the experience and success of all. Adam Butcher shares the same passion for seaweeds and the ocean as his mother Diane Bernard and Marine Biologist father George Butcher. Born in Sooke, just steps away from the Salish Sea, Adam’s earliest days were spent exploring and learning about the living-ocean, intertidal zones, and human effects on the coastlines of Vancouver Island. 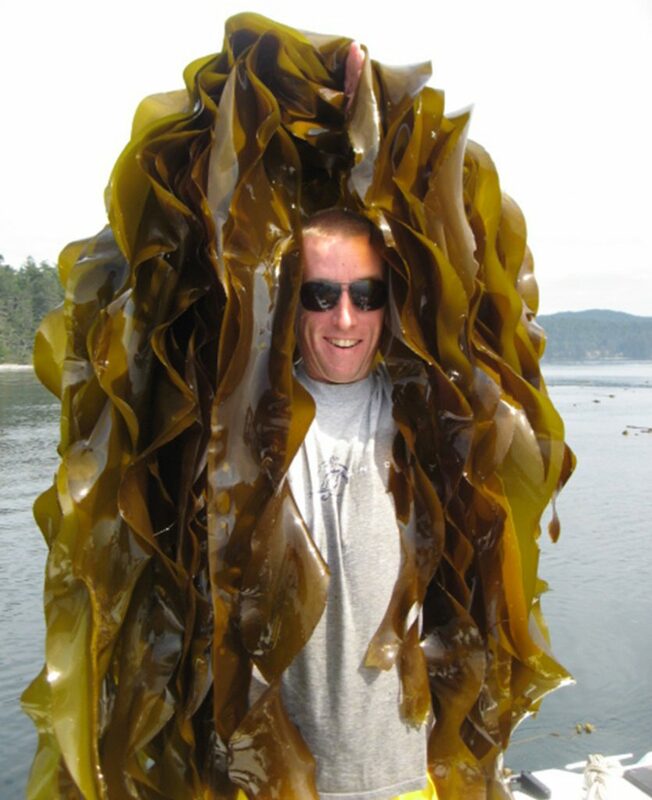 Since childhood, Adam has been an experienced seaweed harvester learning the biology, nutrition, reproduction and sustainable harvesting practices of seaweed from his mother. An avid diver, Adam earned his PADI & then SSI scuba instructor certificates and began teaching internationally and introducing new divers from all cultures to the underwater world. After teaching, Adam returned to his home on Vancouver Island to reunite with the family business; learning the roles, daily operations and management skills under the direct tutelage of Diane. He dedicated himself to studying and learning the essential roles in each department at Seaflora and having so much experience in Asia, international business development became his primary focus. A vocal supporter of local businesses, Adam joined the Vancouver Island Family Business Association in 2014 to gain further experience from business leaders who have been successfully operating family enterprises for generations. Adam joined the Board of Directors in 2016 where he continues to be an active member to this day. As the next generation, Adam is honoured and proud to continue the family business building upon what Diane began over 20 years ago. Seaflora has been recognized globally as an industry leader in seaweed skincare, and as the Director, it is his vision to take their leading edge products to the next level with new innovative formulations and experiences while staying true to the core values and sustainable business practices that have made Seaflora the company it is today.